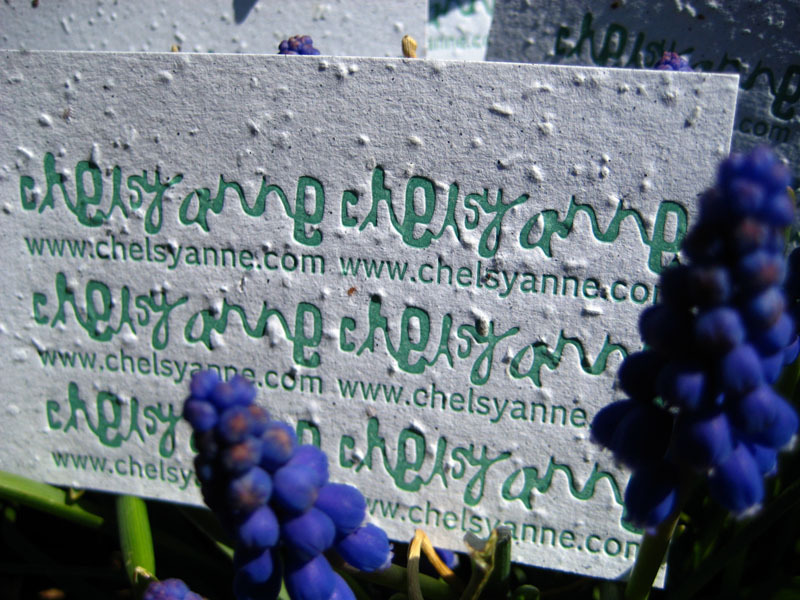 These are little hang tags we printed for Chelsy Anne, a great jewellery maker we met at Ottawa’s Wed by Hand event. This is marks the first time we have ever printed on seed paper, which is manufactured in Winnipeg by Botanical Paperworks. We were concerned at first that the paper would be too fine to withstand the pressure of the press, but it held up just fine and did not crush the seeds. Now whoever buys Chelsy’s jewellery can plant the hang tag and watch wildflowers grow from it! What a great idea. Printed on double thick, white seed paper. 3.5×5. We were able to fit six hang tags on a business card size and left the card untrimmed so Chelsy could plant the surplus herself. These look awesome! Congratulations on a lovely print job. We’re going to promote this on our Facebook page, if you’re cool with that. 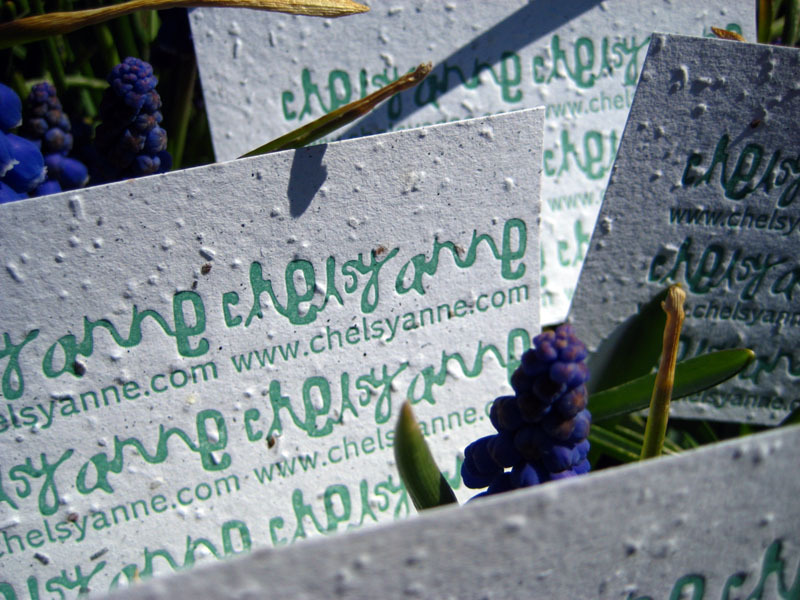 I know people would love to see what you’ve done with plantable paper + letterpress! Thanks Heidi! Feel free to promote this on Facebook and thanks for the great paper. Nice photo of your beautiful work! I am excited to start giving them out! Hello! I would like to place an order for some hangtags on seed paper for my small clothing/leather purses lable. I can’t find an email to get you on. HOpefully i can get in contact with you this way. Beautiful work with these hang tags!